Control the amount of light entering your Columbia Sun Tube at the touch of a button with the remote dimmer kit. Giving you the option of full, partial or no light during the day, the kit comes fully assembled and is easy to install and operate. Control the amount of light and heat entering your skylight with a Columbia Skylight Blind. Offering great value and style at an attractive price, transform any room with one quick and easy installation. All fabrics are constructed of polyester which helps prevent staining and water absorption. Columbia Skylight Blinds are available in three options: Privacy, Light Filtering and Blackout. 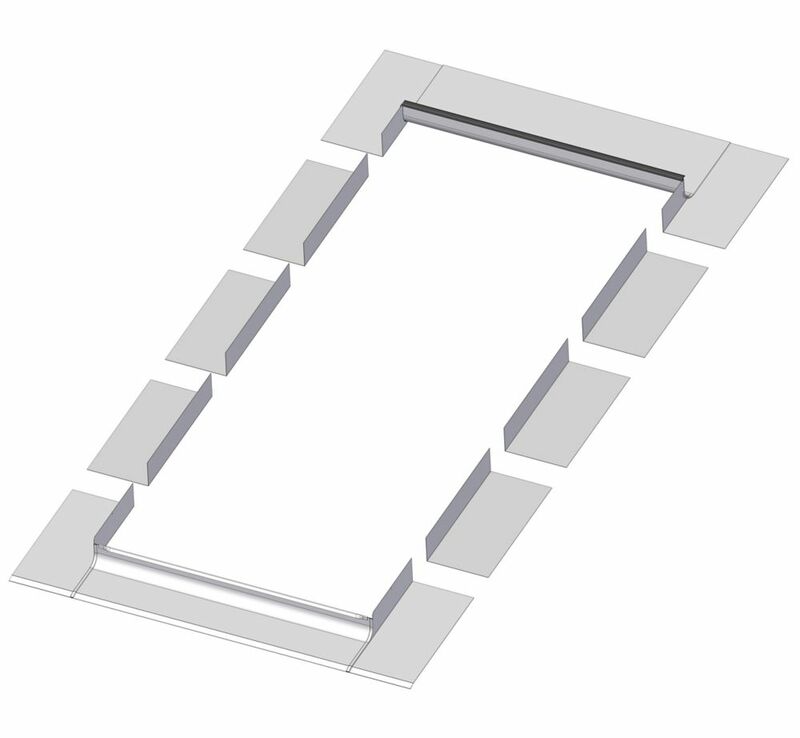 16" x 16" vented skylight provides natural light and ventilation. Make with durable polypropylene and is easy to install. Available in store by Special Order Only. See associate for details. Add light to your home with the ODL 10 in. x 20 in. Extension Tube. This skylight extension tube offers excellent reflectivity and helps you add long runs of up to 12 ft. The tube includes a roll of foil tape for easy installation. 32-inch x 55-inch Fakro EL Skylight Step Flashing - ENERGY STAR® The Fakro EL step flashing is ideal for fitting Fakro skylights with slated roof coverings, such as asphalt shingles, up to 10mm thick. For use with Fakro fixed (FX) skylights of the same size. For high profile material (10mm) such as metal roofs, see Fakro EH-A flashing.